What is there to say about a film which wastes not just one comic talent, but one which succeeds in dragging several well loved and respected comedy greats down to its mediocre level. This badly thought out and poorly judged piece of filmmaking, is not only silly and thin on laughs, but it also manages to be so boring that you will find yourself wishing it would just hurry up and end. 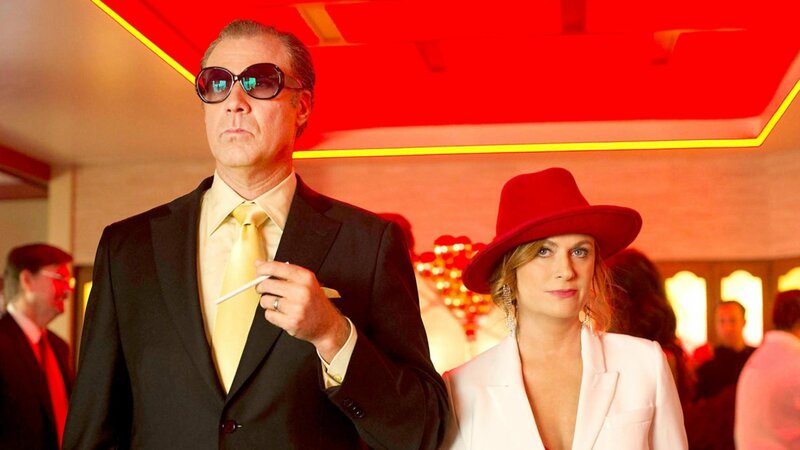 The usually brilliant Will Ferrell and Amy Poehler look as befuddled by the whole thing as the rest of us, and perhaps wish that they’d never got involved in this mess, judging by their pedestrian performances. Scott (Ferrell) and Kate (Poehler) are a suburban middle aged couple who are excited to be sending their daughter Alex (Ryan Simpkins) to the college of her choice, all seems to be going their way until they realise that the money which had been put aside by their community for their daughter’s education has been squandered by the local authorities. Unable to raise enough funds for the tuition fees, Scott and Kate, alongside their best friend Frank (Jason Mantzoukas), decide to start an illegal casino in recently single Frank’s basement. Hilarity ensues when the rest of the town descends overnight on this makeshift casino resulting in the trio making more money than they’ve ever dreamt of. But things start to go wrong when a local beat cop starts to suspect something fishy and is hellbent on catching the culprits in the act. Director Andrew Jay Cohen can’t quite decide what to do with the several great comedy cameos from some of the most known stand up comics around. Nick Kroll is completely wasted on this flimsy narrative as is Steve Zissis. The script is wafer thin and the gags are just not good or funny enough to warrant any kind of interest. The rest of the movie meander from badly thought out skit to another and relies heavily on slapstick humour and unfunny gags which will have even the most patient fans of these hugely talented actors start to question their allegiances. On the whole, The House is just not funny enough nor is it interesting enough to warrant an hour and a half of your time. Will Ferrell fans would be better off catching one of his earlier movies online if they feel the need for some Ferrell in their lives this weekend. A huge mess and a waste of everyone’s time. Really not worth the bother.